As a nice end to my week-long visit and training in Chattanooga, Tennessee this past seven days, my friend and colleague, Dr. Heather McBryar, engaged me in a very interesting discussion on the concept of flexibility. The gist of the conversation was basically this: Are we as open to change as we think we are? As an immediate reaction, my guess is that most people would answer in the affirmative. Even with those who admittedly resist change, or struggle with it, their perception of their own flexibility seems to remain at a high level. The concept of flexibility permeates into all of our worlds, be it at work, in school, or even in Vision Therapy. 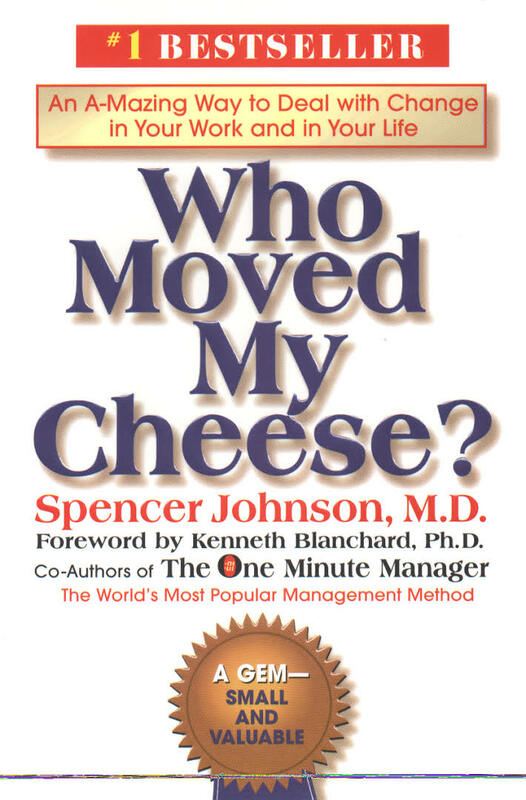 As our conversation closed, Dr. McBryar asked if I had ever read Who Moved My Cheese? I had not. Up to the challenge, we ventured to the book store. A quick read (barely 94 pages which I read on my flight back to Austin), the book takes a quick and theatrical look at the different responses to change. Although intended for the management world, the concepts can be applied to intra-office dealings and to patient care. It also offers the reader a moment of reflection, and encourages self-analysis. In different moments and facing different challenges, our responses to change and/or the unknown will vary. Oddly enough, the author – Dr. Spencer Johnson M.D. – does a fine job at describing the circumstances many Vision Therapy patients face when asked to view the world in a way in which they have never considered. If you’ve never read it, and are involved in patient care, please consider reading it. Posted on September 6, 2015, in From My Perspective.... Bookmark the permalink. 2 Comments. Thanks, Dr. Williams. As I read the book, I found myself associating with different characters depending onto which situation I applied the lesson. Surely, there are times we all become stubborn or resistant to change. This book is a good reminder of the importance of keeping an open mind as much as possible.